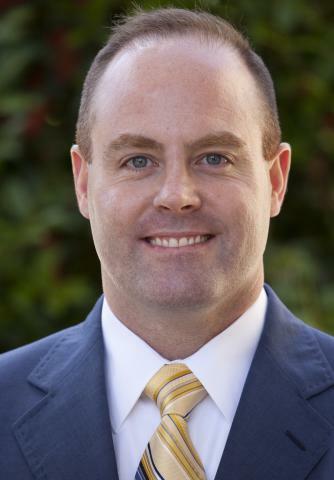 Tyler Mulligan was involved in the last round of lunches and he provided an update on a project that the Development Finance Initiative is doing for the NC Department of Commerce. It is a complicated project and this post draws heavily (okay, very heavily) on a summary and pictures provided by Tyler. In addition to Tyler’s description of the twists and turns in the project, I will offer a few of my own comments. For example, his summary justifiably gives credit to DFI Project Manager Peter Cvelich and “a crack team of DFI staff on this project.” Peter truly is fantastic and so is the rest of the ever-growing team. The leadership of Tyler, Michael Lemanski, and Christy Raulli also have been critically important to the success of DFI, and Tyler is the visionary who has made it possible. It is a team effort, and it is a dream team! 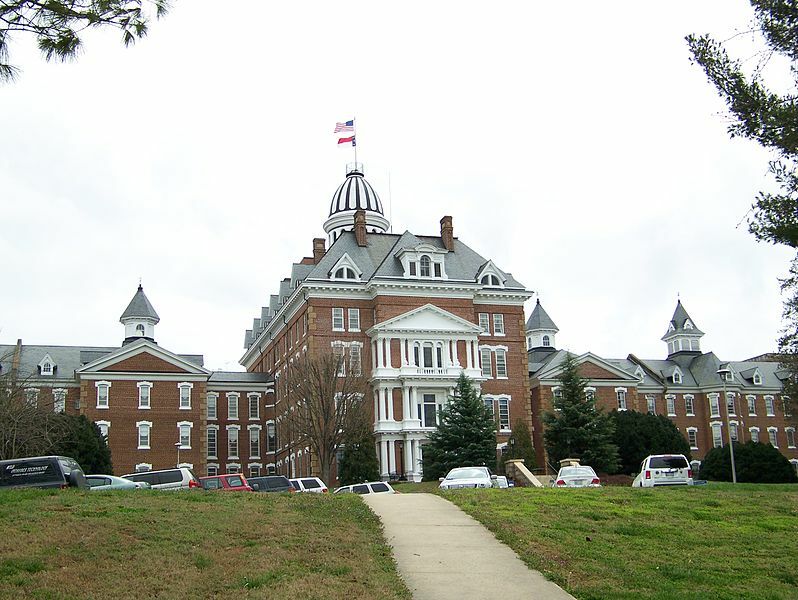 Tyler described DFI’s project to preserve the historic Broughton Hospital campus in Morganton, North Carolina, in Burke County. The hospital is moving to a new facility on an adjacent property. 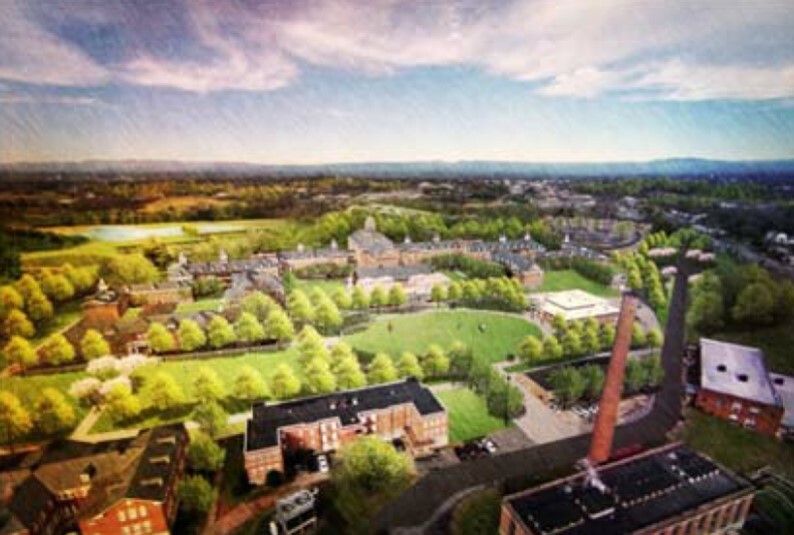 The General Assembly enacted legislation in 2014 directing the Department of Commerce (DOC) to study the potential reuse of the sprawling 50-acre historic campus and the surrounding 750 acres of publicly-owned land. DOC engaged DFI to complete the study. The main hospital building is historic, beautiful and impressive. 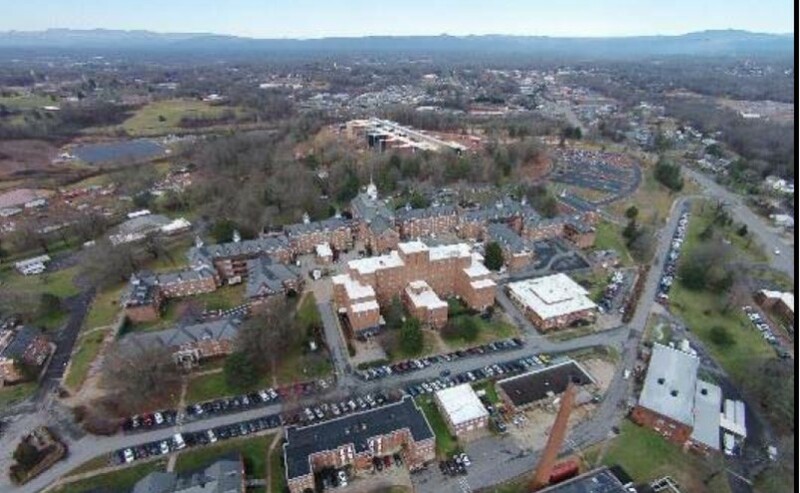 It also is challenging to repurpose the building due to its institutional structure (in earlier days it was known as the Western North Carolina Insane Asylum), the limitations imposed on historic properties, and substantial square footage in a relatively small market. Engineers examined the building in detail and DFI staff analyzed the financial feasibility of using the building for some other purpose. 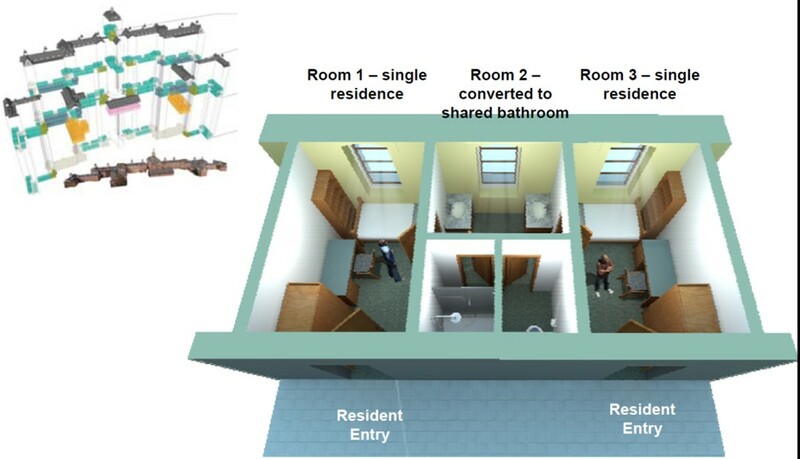 The team’s conclusion: the small rooms and wide halls would work well for a residential school, but not for much else. Hold onto that thought. The good news is that the entire 800 acres is publicly owned. That unified public ownership makes it possible to develop a comprehensive vision that can be created and marketed to private developers. The challenge is that multiple local governments and state agencies control different parts of the site, as shown below, which means somehow getting all of them to agree to a comprehensive vision that meets all of their interests. In 2016, DFI completed work on a vision for the 800 acres that received buy-in from all of the eleven stakeholders (below) that advised DFI throughout the project. In looking at the variety and complexity of the different interests, it is impressive that DFI was able to create a unified vision for the development. I mean really impressive. The ability to bring stakeholders to the table and facilitate a process that leads to consensus is one of many skills that Peter and our other team members must bring to each DFI project. You can see the report that DFI produced here. Around the same time that DFI released its report, the General Assembly put a statewide bond package in front of voters that included funding for a western campus of the NC School for Science and Math (NCSSM) in … wait for it … Burke County. So far, so good. After voters approved the bonds, the news got even better: NCSSM decided to locate its new campus somewhere within the 800 acre site that DFI had studied! Would the new western campus locate in the historic main hospital building, just as DFI’s vision forecast? Not so much. The best laid plans . . .
DFI’s report had identified a perfect site for private development near the current campus of the NC School for the Deaf. 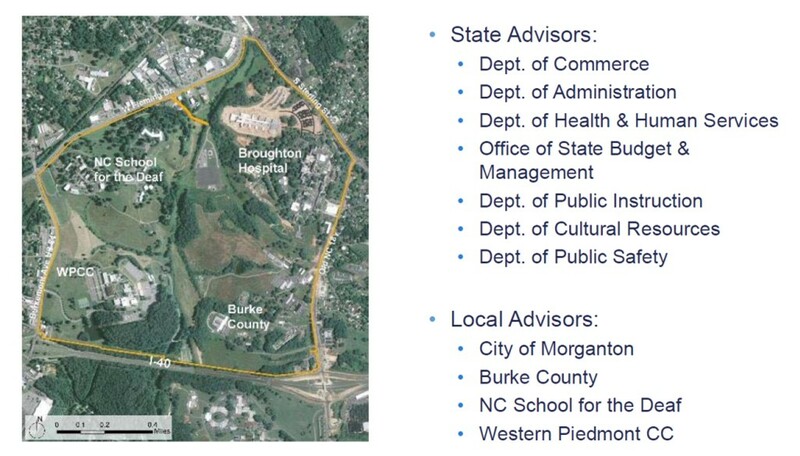 The plan reserved that site for private development in order to generate new tax revenue that the City of Morganton and Burke County could use to pay for public greenways, recreational facilities, and relocation of incompatible county facilities as a part of the overall plan. When NCSSM reviewed its options within the 800 acres, they decided that the School for the Deaf site was perfect—for the location of NCSSM’s western campus. Now NCSSM’s planning committee is in the process of recommending that its new western campus be located at the School for the Deaf site, not in the iconic Broughton Hospital building. That was a major-league curveball. This brings us to the moral of Tyler’s story. DFI’s original vision was not going to play out—it was a great vision in every way, but it was not one that we could control. NCSSM’s decision to locate at a site other than the one intended for a school was such a departure from the original plan that it now requires a new study of the 800 acres. What will happen to the historic Broughton Hospital building? How can the project involve the private sector in a way that will generate tax revenue to pay for other features of the project? Someone will need to come up with a revised vision that all of the stakeholders could support. My sense from Tyler’s presentation is that he thought that DOC and all of the other public partners might turn to someone other than DFI to develop the new vision. But that isn’t what happened. The government stakeholders once again have turned to DFI and they have asked us to develop a new vision for the project. 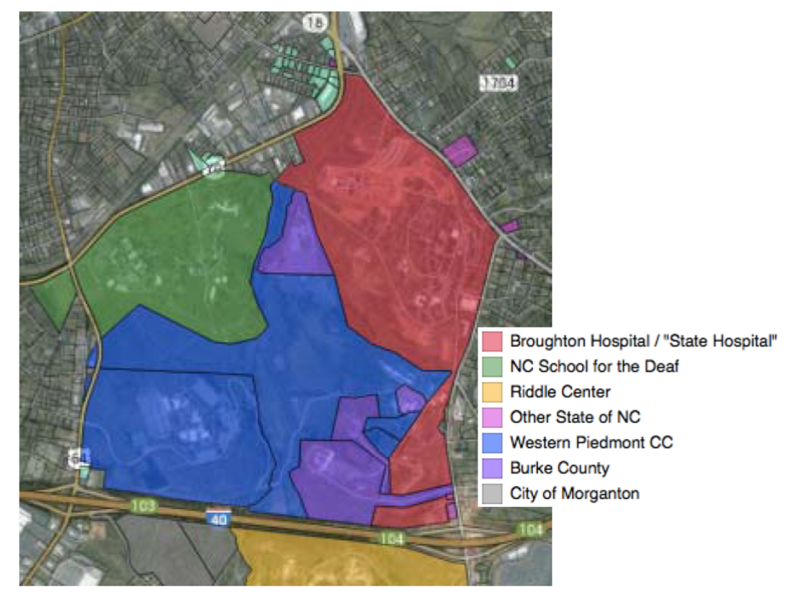 In fact, the state budget that was released this week includes $180,000 for DFI to continue the work on the Broughton Hospital campus in Morganton. It is a huge vote of confidence in DFI and the incredible team that worked on the original plan. Tyler believes that the School’s place in North Carolina as a trusted, neutral resource has rubbed off on DFI, and that made it easier for the various government stakeholders to turn again to DFI. I agree, but that is only because DFI and its entire team share the same sense of mission and values as everyone else at the School. I can’t wait to see what they come up with in the new plan. Stay tuned. WAY TO GO TYLER! The budget special provision extending the study and appropriating the $180,000 is S257, sec.11F.13.